It is my kids’ favorite time of year to visit the park. The leaves are changing colors, the chestnut trees are dropping their bounty and there are plenty of squirrels to chase. 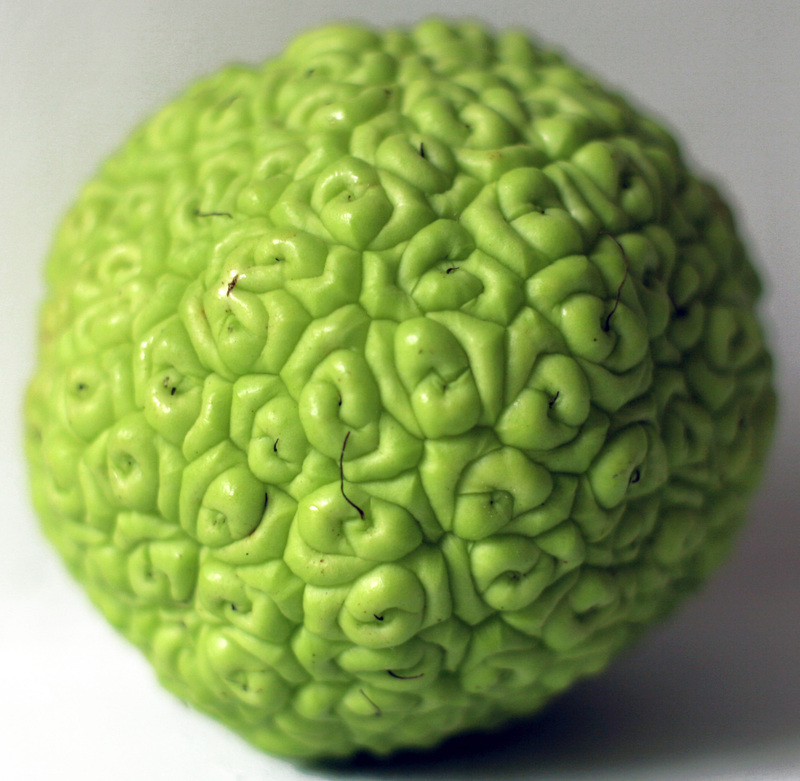 But our favorite treasures to hunt in early autumn are osage oranges. These strange fruits are inedible, but have a sweet smell and their color is other-worldly. We have started our yearly osage collection on the dining room table. Their citrus fragrance fills up the room and their bright florescent color just happens to be in vogue this year. I think they were planted there. But I only know of three trees around us.